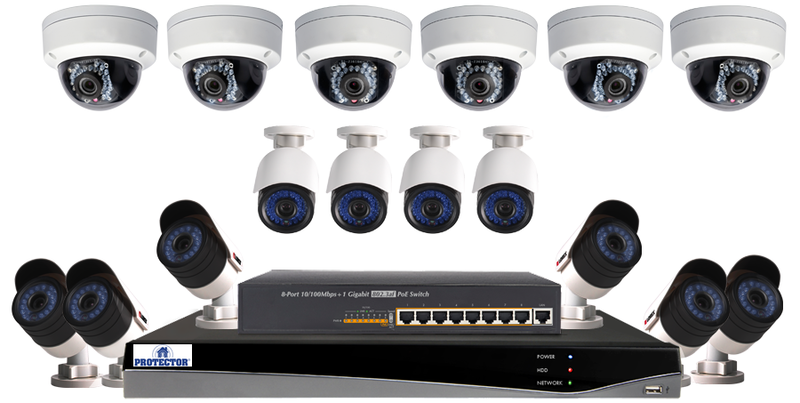 Protector Security uses only top of the line digital surveillance systems and security cameras. Image quality is improved, less maintenance time is needed, and there are great functions, such as playback and remote viewing over the Internet. With the use of archived information, which is stored on the hard drive, you have the potential to examine any claim that could have resulted in lawsuits. The technology is sophisticated but the systems are user friendly and provide your business with the peace of mind that you desire.